Peter Irniq: It is very wonderful that I can interview you. Peter: You will be on TV. 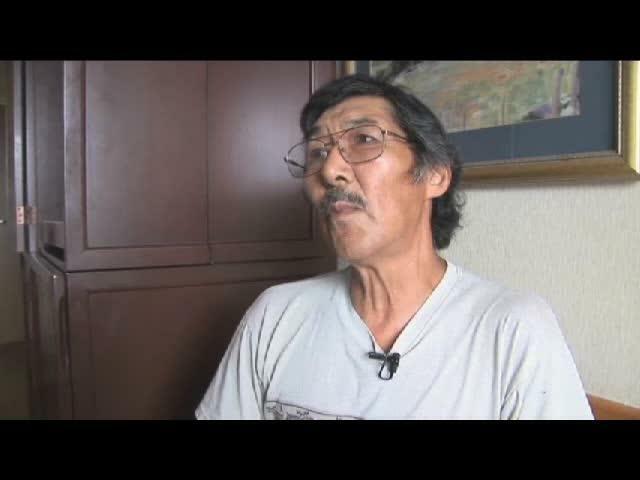 Since your time in Iglulik, did you grow up in Amittuq(Traditional name of Iglulik Region)? Clara: My only sibling and I lived in Hall Beach long, long time ago and when we moved here, we have always stayed here. Peter: Where in particular in the Amittuq Region, did you always lived at? Peter: It has fish, caribou and polar bears? 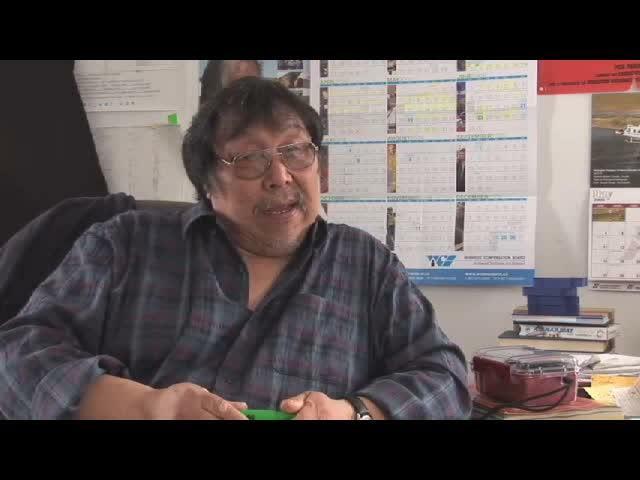 Peter: When you were growing up here, was Iglulik a small little village? Peter: There were just a few buildings? Clara: There were no buildings. Peter: Were there no Qablunaat(White People)? Clara: At that point, there was only a priest and the Hudson’s Bay Company trader. Peter: When there was a trader here at the store, what were your favorite items to buy? Clara: Biscuits, they were about the only ones, that were around to crave for. Peter: Were they in a red container(Pilot Biscuits)? Peter: Butter was also extremely delicious. Clara: There was only saccharin sweetners, they were the only ones around then. 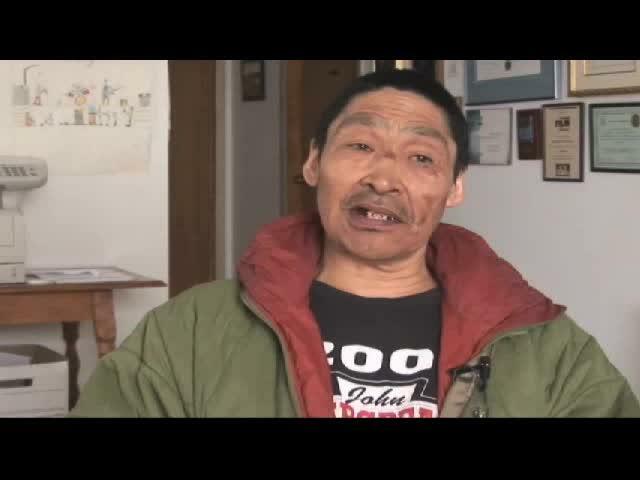 Peter: When did you actually started living in Iglulik permanently? Clara: We have been here for a long time now but I have spent much of my time in the south at a sanitorium for TB treatment. Peter: Do you speak some English? Where did you spend time in the south at a sanitorium? 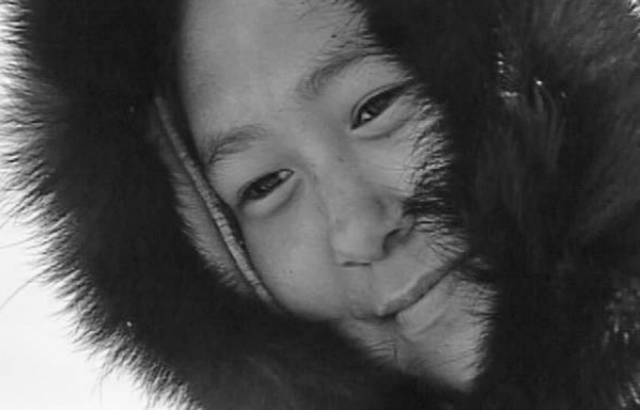 Peter: There were lots of Inuit there. Clara: It was full of all kinds of people. Peter: Were there a lot of Indians there? Clara: Yes, there were lots of Crees and Chipewyans. I know, there are two kinds of people there. I used to see them often. When they used to come to me and talk to me, I would not at all understand them. I did understand a bit of Cree. 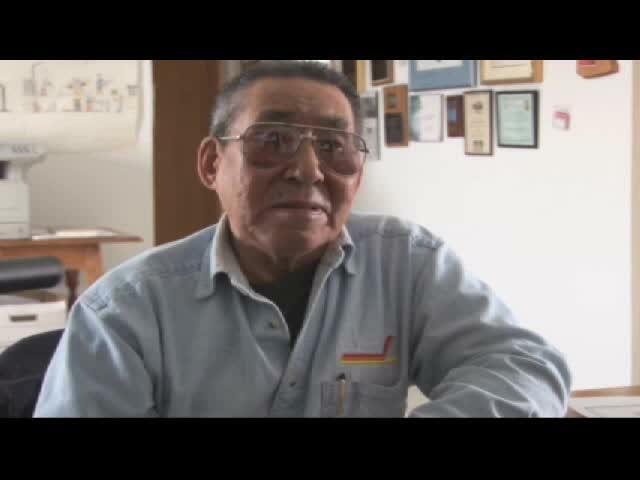 Peter: When we were being sent to a Resident School in Chesterfield Inlet, around 1950’s, and I was sent to school there in 1958, and when your children were being sent out to school in Chesterfield Inlet, do you remember this well? Clara: Yes, Veronica was one of the very first ones. Peter: Was that around 1953? Peter: How many of your children went to school in Chesterfield Inlet? Peter: As a parent, how did you feel about this, that your children were being taken away to school. They did seek your advise or did they just tell you that your children will be going out to school? Clara: We were not specifically asked. They said, our children were going to school, that was it, they sent them out. Peter: Perhaps, I’ll ask the question this way. When or if you did not wanted your children not to go to school, did anything happen to you? Clara: I did not wanted one of my children to go as he was very small. I was holding his hand, then, he was hoisted into the airplane. Peter: Was this from a canoe and then into the plane? Peter: If you did not wanted your children to go to school, what do you think, the priest would have done? Clara: I don’t know. Perhaps, they would have taken him away anyways, from my hands. I was holding his hand at that point. Even while I was holding his hand, he was just taken away from me. He was crying. He was very small. I was left with no one, from among my relatives, children. Peter: You had no more children at that point. 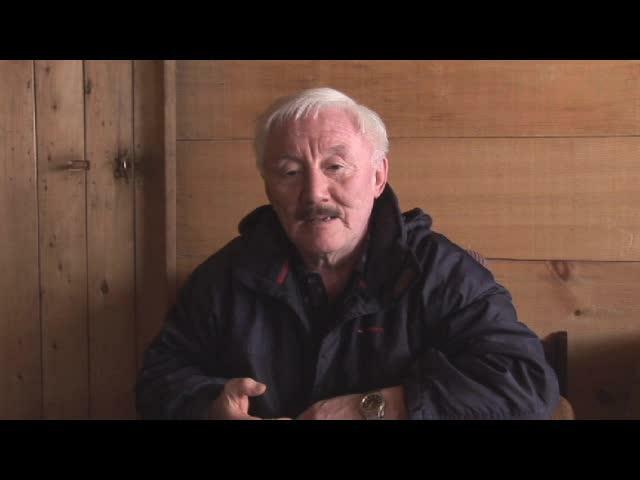 Peter: All your children were taken away to go to Chesterfield Inlet? Peter: They would return home here every spring? 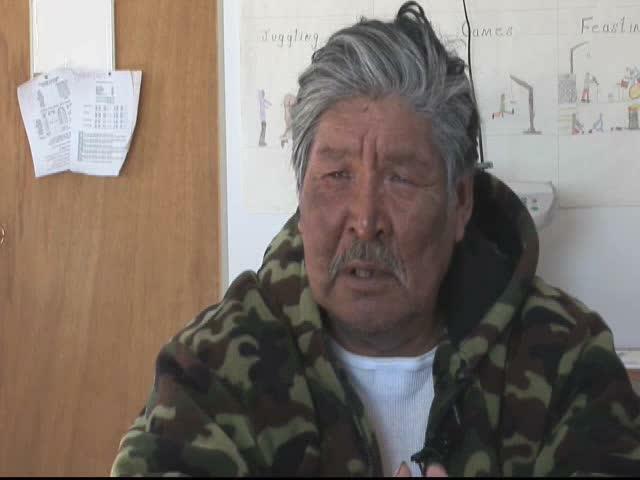 Peter: When they would leave for Chesterfield Inlet, they would leave knowing Inuktitut language and culture? Peter: How many boys left to go to school and how many girls, among your children? Clara: Two girls and three boys. 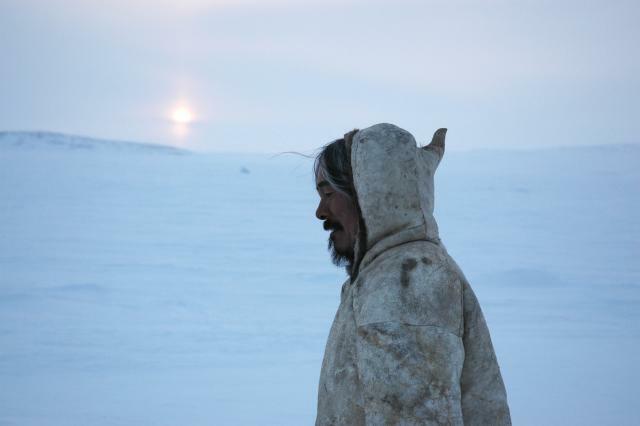 Peter: After they had been to school in Chesterfield Inlet, and when they returned home, did they act somewhat strange? Clara: Yes, they would appeared to be. 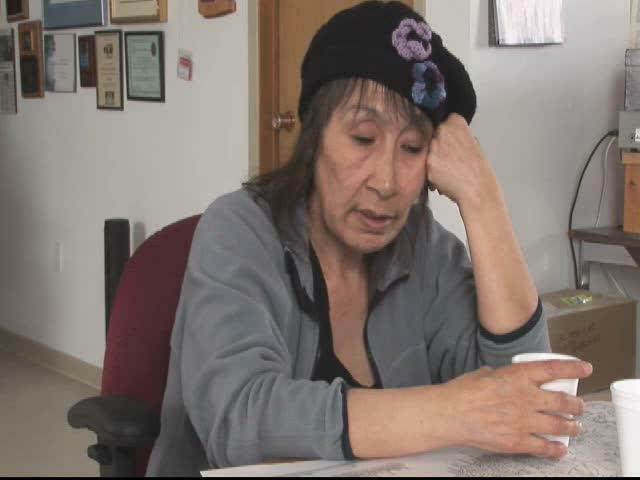 Clara: Sometimes, they would become homesick for Chesterfield Inlet, perhaps, they were hungry. 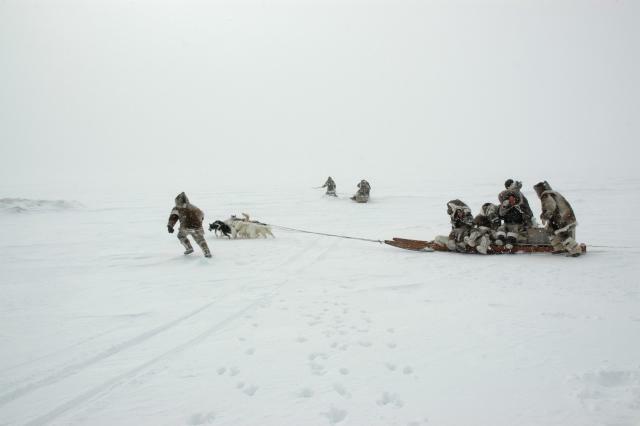 We did not have much Qablunaaq food, at that time. Peter: Did they speak a lot of English, no? 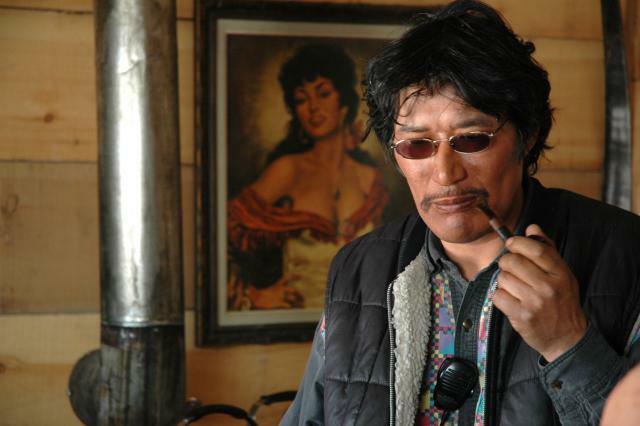 Peter: Did they all keep their entire Inuktitut language? 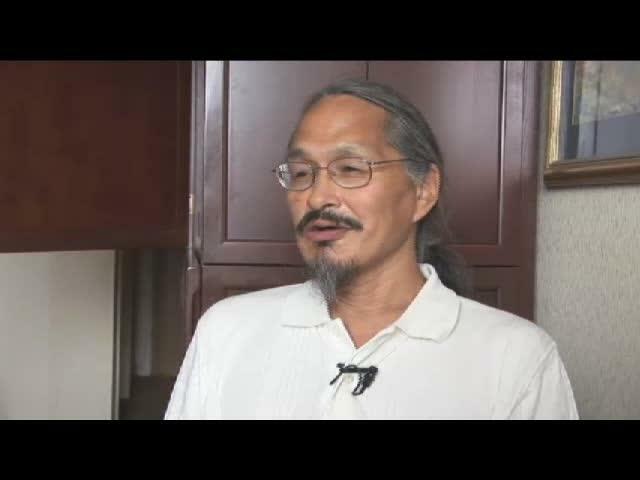 Peter: Did they used to bring with them, the ways of the Inuit of Chesterfield Inlet, or the White People or the ways of the priests, such as songs, for example? 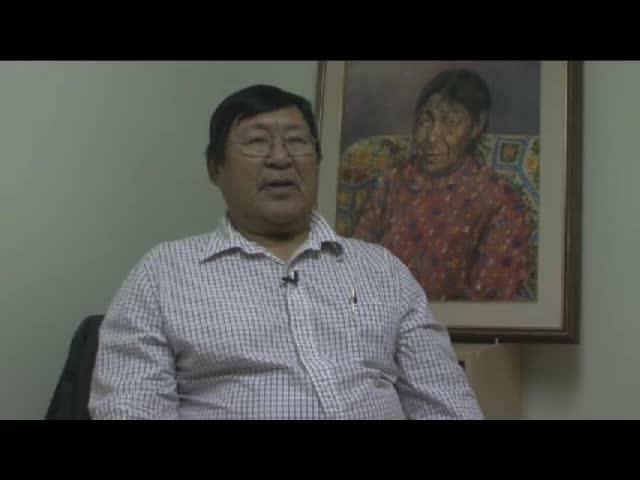 Clara: They spoke some of the dialects of the Inuit of Chesterfield Inlet. Peter: Perhaps, that was somewhat strange? Clara: Yes, it seemed that way. Peter: I understand, some of your children did not all return here? Peter: Can you talk about it? Clara: She never used to say anything. When it was apparently for sure that she was not going to live any longer, she was brought home here for a little while. She was my oldest. She was apparently sick out here(she is making a point where the pain was). When she got sick, she was apparently telling the authorities. She was not believed by the Sisters, even though, she was telling them about it, and mentions it often. She then became very sick! She was never sent home. She died in Montreal. Peter: She died in Montreal? Clara: Yes, she is buried somewhere over there. Peter: Do you know where? 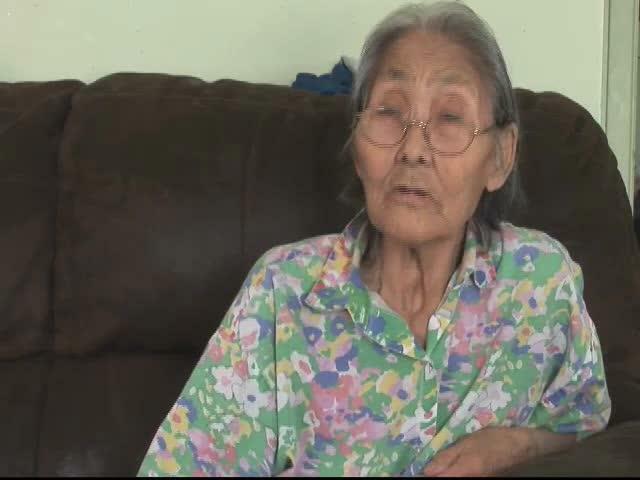 Clara: It is somewhere across the big river(St. Lawrence) but since there is no sign/marker about where she is buried, it is very difficult to know. Peter: Would you like to be told about where she is buried? Peter: Of course, for sure. 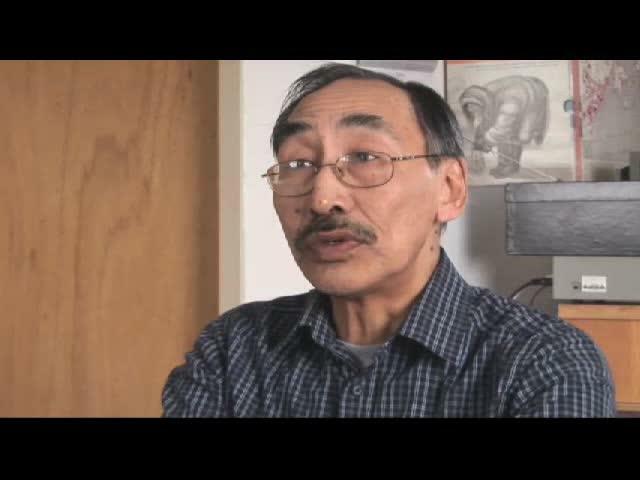 Peter: At that time, in Chesterfield Inlet, at the school, we were told to never to speak our language, are you aware of this from that period? Have you heard about it? Clara: Yes, not directly from them, but from others, that they were only to speak English. 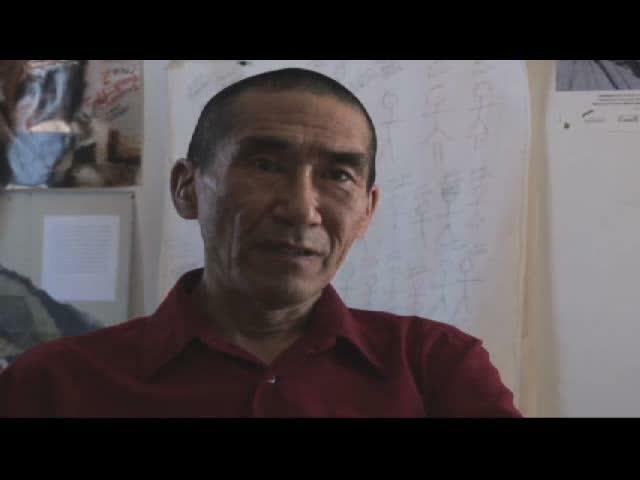 Peter: However, they returned home, without forgetting their Inuktitut language? Peter: When they were leaving at that time to go to school, it must have been very hard, indee? 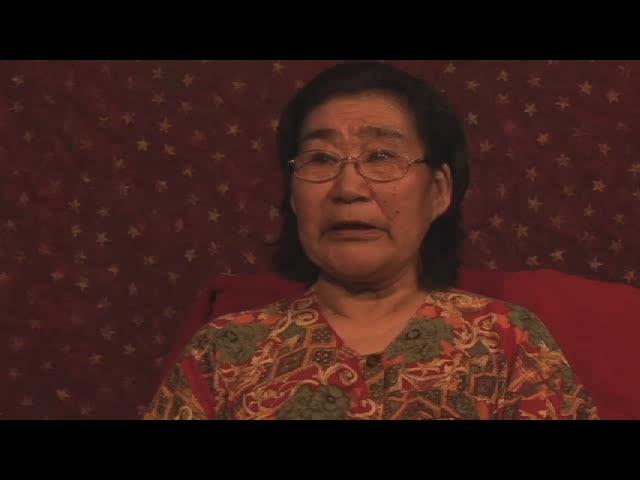 Clara: It was extremely lonely period, when your children were taken away. Especially when you had your children all the time with you and the only time, you would see them again was in the spring time. Peter: Did you hear about how they were doing in Chesterfield Inelt? Clara: Yes, from the priests. We used to hear them from the priests, who used to talk to the priests in Chesterfield Inlet, through Very High Frequency Radios. It was very always a very long time later. Peter: Did you use to write to them? Clara: We used to write to them very infrequently, as we had no airplanes here around here at that time. Peter: There was not much planes at that time? Peter: Priests used to have these what we call High Frequency Radios. Were you able to talk to them, using one of these through the RC Mission? Clara: People who were here used to. We ourselves used to live up there away from here so, it was not so. When they had to go away, we would bring them here and when they arrived, we would take them back with us on the land. Peter: Those children of yours who went to school such as Paul Aarulaaq Quassa, they are extremely good at what they do today, this is good, isn’t it? Peter: And your grandchildren. You expect them to be the same way as those, that is your hope as well? Clara: Yes. 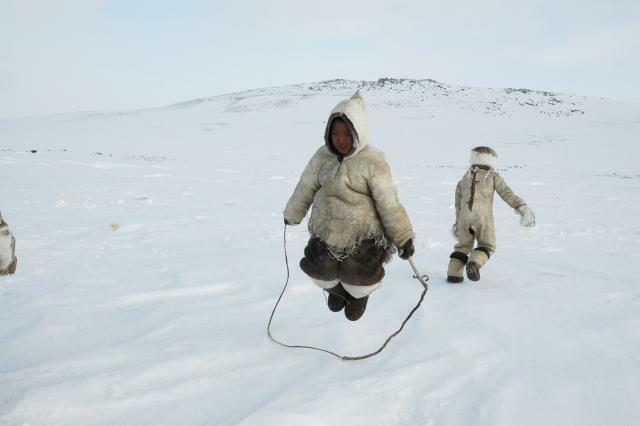 I would like to teach them about Inuit, just as long as I am able. I would like them to be able to do things just as well. 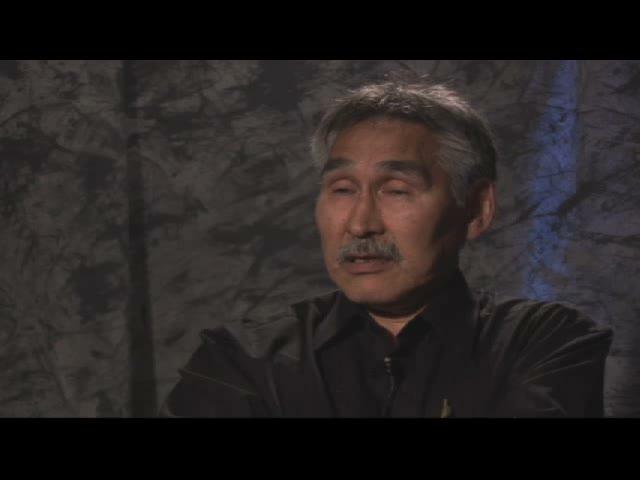 Peter: Being able to speak Inuktitut as well, fluently. And also being able to do things the same way as the Qablunaat do? But at the same time, as long as they know about their own culture and their language. Peter: Can you talk more about the time your children were being taken away? Clara: Yes, Veronie was the very first one to leave, along with the others. When I was away at a TB Sanitorium, others were leaving to go to school. Peter: The first one who left from here, you witnessed her leaving? Clara: Yes, I saw her leaving. Peter: Including the younger ones, did they all leave at the same time? Clara: No, Veronie was the first one to leave. Peter: When she left here, she left on the plane? Peter: You mention earlier that no one consulted you about the children leaving for school, do you remember others being told about the fact that, if they didn’t send their children to go to school, their family allowances would have been cut off? Clara: Yes. Probably by the Government. Clara: We didn’t see money in those days. It was just available. Peter: What would you have bought for $6. Clara: We used to buy all kinds and lots with $6 in those days. Peter: You would have bought tea, tobacco and kerosene(fuel). Clara: No. I also used it to buy clothes. Flour, milk, they were quite big. 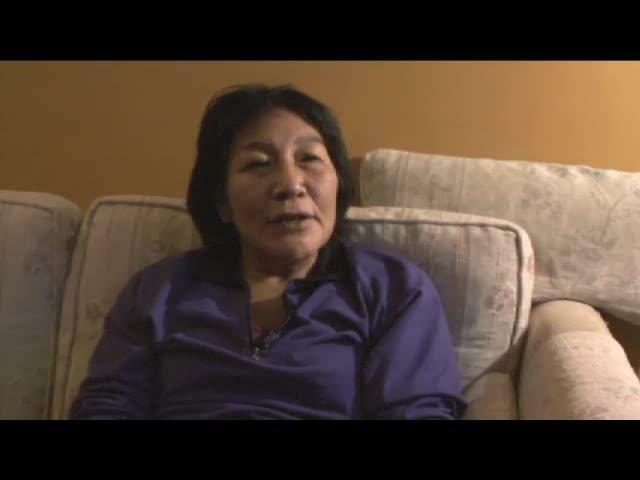 Peter: Some Inuit must have been intimidated and as a result, they would easily agree to send their children away, especially when they were told, that their family allowances would be cut off? Clara: Yes, we were very scared of Qablunaat. We were all scared of them. Peter: Do you remember priests saying to you or others, if you did not send your children to go to school, you would be put in jail by the RCMP. Do you remember hearing this? Clara: No, I don’t know. Peter: What about the others, do they remember? Clara: I don’t know at all, as I didn’t know anything about the others. Clara: The one I am very stressful about is Veronie. She used to cry, that she just wanted to stay with us. She used to struggle very much about this. It was a very trying time for her. I used to cry a lot about her. She was very much attached to us and loved us. Peter: You also loved her? Clara: Yes. She grew up, while she did not grew up with us, as a family. Vernoie, her father and I went through very hard times at that time. Peter: If you want to go and see her burial site, do you know who to go see? Peter: What about your MLA? Clara: Why, he is at the hospital. Clara: Yes, he is at the hospital. I hear about him, he is at the hospital. He was supposed to get out, as they have a meeting. Peter: What about asking the Government and ask them to help you find your daughter’s burial site? Do you know who to ask? Clara: I have no idea at all. Peter: Even if you see her grave, that would be helpful. Clara: I want to be able to say, here is her grave identified, this is what I want to do. I have never seen the grave site. Peter: Louis Tapardjuk is sick? Clara: Yes, he was. He has been in bed, since I am not sure.